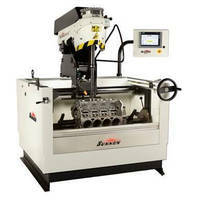 Suited for engine cylinders and cylinder liners with bore diameters from 2.25-12 in., Precision Hone Tooling System incorporates integral air gaging with automatic shutdown mechanism for non-contact, in-process bore sizing to tolerances of 0.0002 in. Tools use custom-designed and fitted multi-stone tool heads, with number and placement of stones dictated by application. Three abrasive options include diamond or CBN, aluminum oxide/silicon carbide, and abrasive impregnated filament. 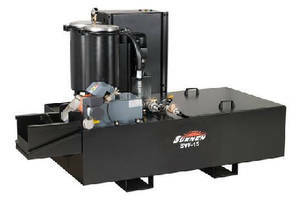 Customized for mid- to high-production honing applications with engineered-to-order tool head, abrasives, driveshaft and feed connections; ideal for engine cylinders and cylinder liners with bore diameters from 50 mm to 300 mm. 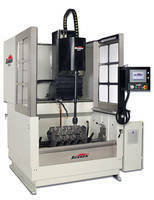 October 2009 - The new Precision Hone tooling system from Sunnen Products is true to its name incorporating integral air gaging with an automatic shutdown mechanism for non-contact, in-process bore sizing to tolerances of 0.005 mm (0.0002 inch). PH tools use custom-designed and fitted multi-stone tool heads, with the number and placement of stones dictated by the application. Ideal for honing diesel cylinder liners, compressor cylinders, automotive engines, small engines and aircraft cylinder bores with diameters from 57 mm (2.25 in.) to 300 mm (12 in.). PH tools can be used with Sunnen or other manufacturers' machines and include three abrasive options - metal-bond superabrasive (diamond or CBN), conventional abrasive (aluminum oxide/silicon carbide) and plateau brush (abrasive impregnated filament). 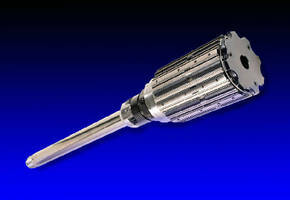 PH tools are made with high-quality steel components throughout, with long-life carbide guides/air jets. Bayonet air connections on the tool heads facilitate fast changeovers. 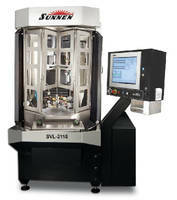 The Precision Hone tool is a flexible tooling system and can be designed to connect to the rotary feed system of the Sunnen SV-310 for precision stone feeding, or the linear feed system of the Sunnen SV-500 for two-stage roughing and finishing applications. For additional information on Sunnen tools and abrasives, contact: Sunnen Products Company, 7910 Manchester Rd., St. Louis, MO 63143. 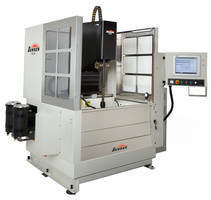 Tel: 1-800-325-3670; fax: 314-781-2268 or email sales@sunnen.com.